UPDATE 6/23/15 6:26 P.M.: Diddy has been charged with three counts of assault with a deadly weapon, one count of making terrorist threats and one count of battery, according to SportsCenter. Sticking to his self-defense claim, Diddy issued a statement via ESPN about how he believes the incident has been falsely portrayed: "The various accounts of the event and charges that are being reported are wholly inaccurate. What we can say now is that any actions taken by Mr. Combs were solely defensive in nature to protect himself and his son." His son, Justin Combs, has also issued a statement, as TMZ reports: "I thank God for having a father that’s always there for me.. Love you pops!” Diddy made bail last night. 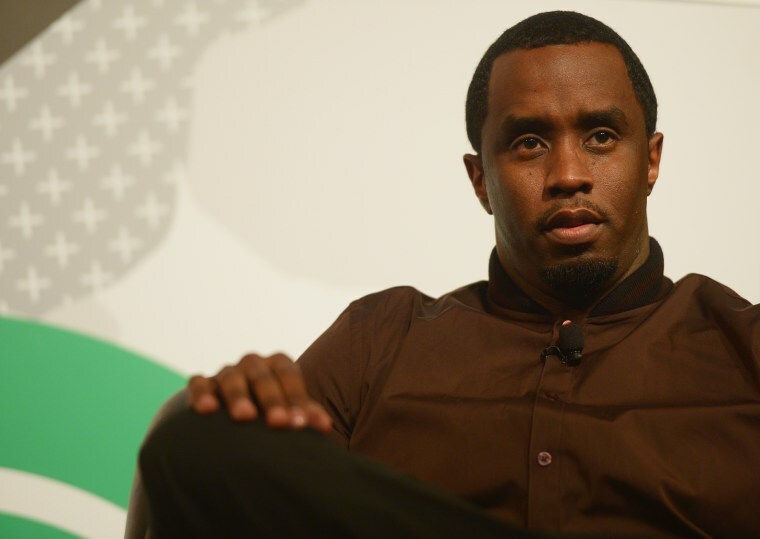 Diddy aka Puff Daddy aka Sean Combs has been arrested for assault with a deadly weapon. In other words, he allegedly tried to attack to his son's UCLA football coach with a kettleball, a weight used for deadlifts. As TMZ notes, there are conflicting reports of what exactly happened but UCLA strength and conditioning coach Sal Alosi—the former NY Jets head who was kicked out of the NFL in 2010 after tripping a Miami Dolphins player—claims that Diddy approached him in his office to speak with him about "riding" his son Justin "badly." At the time, Alosi maintains that he was on the phone and asked Diddy to wait but the rap mogul grew impatient and went for the kettleball. "I’m thankful that our staff showed the level of professionalism that they did in handling this situation," said football coach Jim Mora in a statement. "This is an unfortunate incident for all parties involved. While UCPD continues to review this matter, we will let the legal process run its course and refrain from further comment at this time." Diddy's team, however, alleges that he acted in self-defense. According to sources who spoke with TMZ, Diddy tried to see Alosi with no success, who threatened to call security when Diddy refused to leave. Diddy then dialed the police, at which point Alosi reportedly "snapped...going after Diddy with his hands." Diddy reacted by reaching for a kettleball as a defensive shield, but reportedly didn't plan on swinging. We'll update this story with new details as they emerge.